Friends! Shappi here. 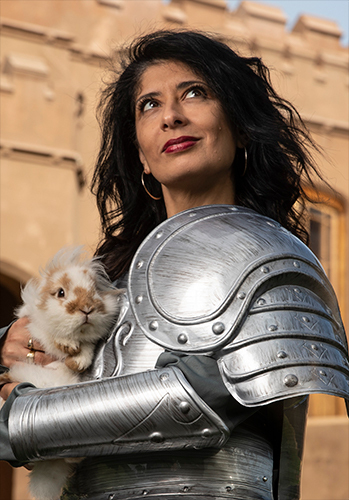 Delighted you are having a peek at my website. I come from a long line of comedians and writers, so naturally I wanted to become a trapeze artist. Sadly my youthful love of cake and Dr Pepper meant meant none of the other trapeze artists could catch me, so I had wisecrack to for a living instead. As a touring comedian, I have eaten at some of the finest service stations in the United Kingdom and beyond. I regard the lady who works at Pumpkin at Crewe station, as a personal friend. I never caught her name though and now it would be too awkward to ask. On TV I have sat my bottom on the chairs on all of the popular panel shows and, on days when the producers were too hungover to stop it, some of my quips have made the edit. I have had my own series on radio four and have often come last in in its flagship panel show, Just A Minute. I could give you a more detailed account of all my sparkling show business achievements, but I’ve run out of cat food and the CoOp shuts in ten minutes. Have you read my books? Why not? They are very different to each other. If you hate one, chances are you will like the other. 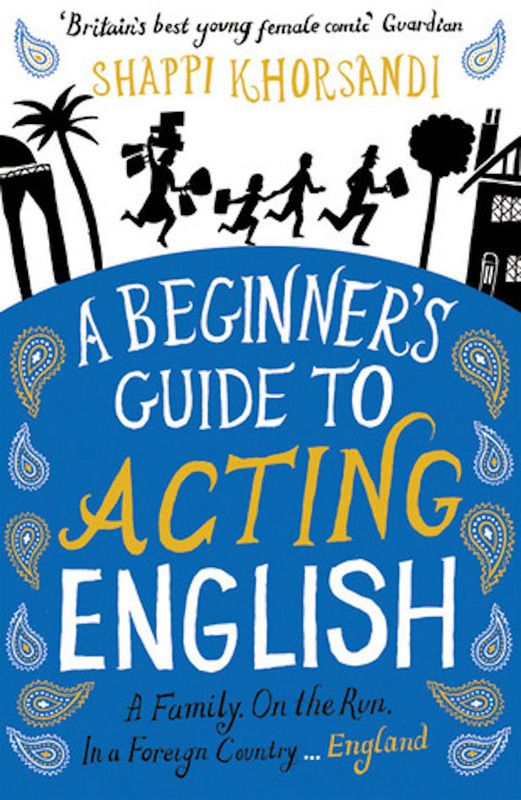 A Beginners Guide To Acting English is my childhood memoir. I don’t like the title. I’d run out of cat food on the day I had to submit the title too so chose it in haste before the shop shut. They say ‘never make a decision on an empty stomach’. I say: ‘Never chose a title for you book on your cat’s empty stomach’. 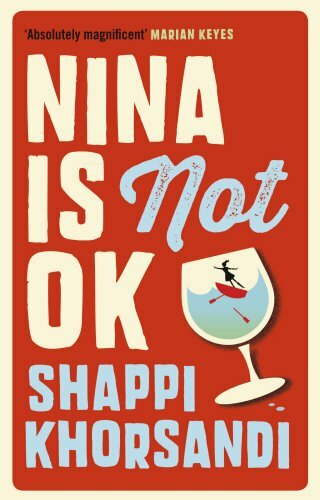 My second book is a novel called Nina Is Not Ok.
I’m very proud of this book. It’s about an eighteen year old alcoholic. It’s dark and honest and got wonderful reviews. I’m going to write another novel. My novels have funny people in them but the subject matter is dark. Stand up comedy should be seen live. YouTube and TV are ok if you’re in your pants but I suggest putting some clothes on and coming to see me in real life somewhere. 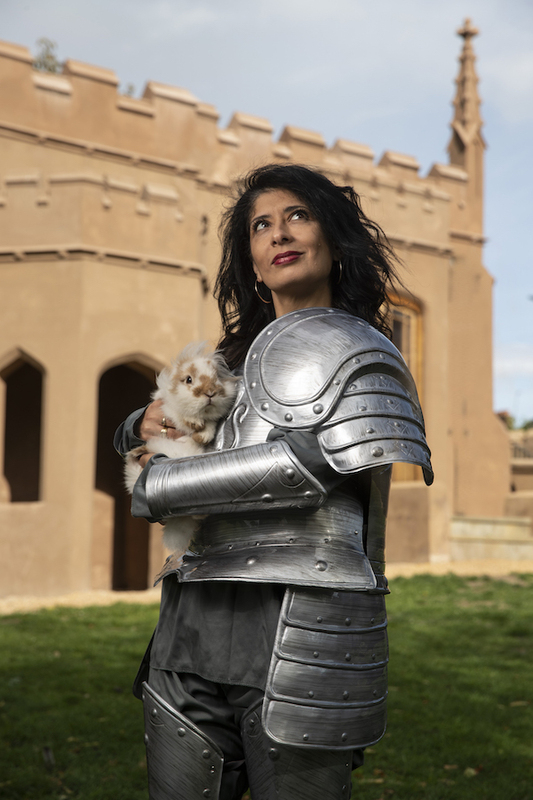 I’m on tour with a new show, “Skittish Warrior” in 2019. 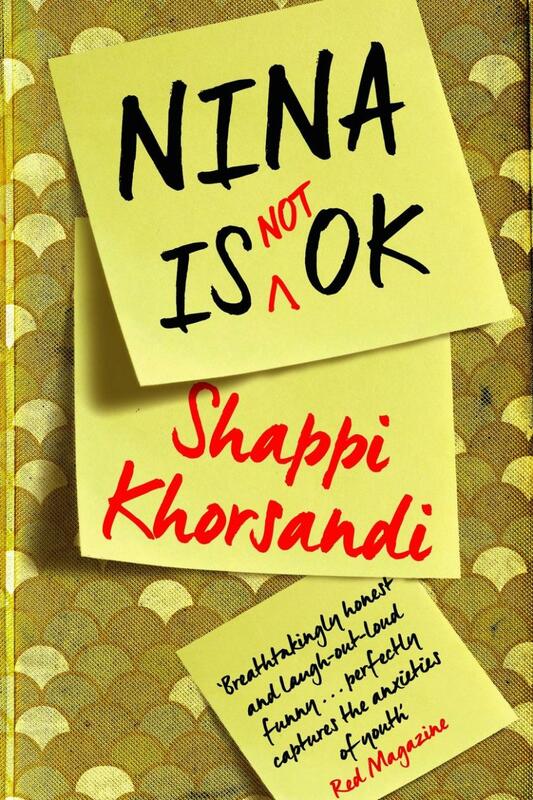 Shappi’s Debut novel, “Nina Is Not OK” is now out in paperback, click here to get hold of a copy. But then one dark Sunday morning, even her friends can’t help piece together Saturday night. All Nina feels is a deep sense of shame, that something very bad has happened to her..